As farmers in India struggle with dwindling incomes and soaring costs, with huge debts triggering a wave of suicides, experts said one solution may be to only work part-time on the land. About 60 percent of people in India make their living from the land, but earnings from agriculture have plunged to one-third of a farm family’s income from two-thirds in the 1980s. “There is a strong case for part-time farming: when opportunities arise elsewhere, they must go there. And when there are new opportunities on the farm, they can return there,” said Michael Lipton, a development economist. 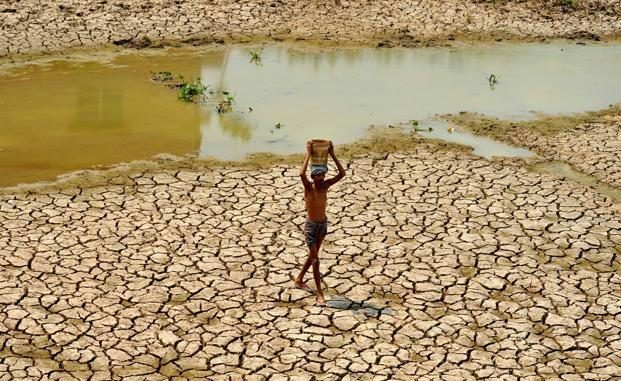 “That is what makes most sense, rather than have the farmer tied to his land all the time,” the professor from Britain’s University of Sussex told the Thomson Reuters Foundation on a visit to the southern Indian city of Hyderabad. Over the past decade, tens of thousands of farmers have killed themselves across India, with debt or bankruptcy cited as the main reason. Problems usually stem from failed monsoon rains or low prices due to a supply glut in produce like lentils and cereals. Deadly protests by farmers in states, including Madhya Pradesh, Maharashtra and Tamil Nadu, this year have led to assurances of debt write-offs of some defaulting farmers. Prime Minister Narendra Modi has promised to double farmers’ incomes over the next five years amid growing discontent. Employment in agriculture shrank by 26 million jobs between 2011 and 2015, according to McKinsey Global Institute, the research arm of the consulting firm. Seven out of ten rural households in India are landless or own plots of less than 1 hectare (2.5 acres). Although landless farmers do not qualify for government loans or insurance to protect against crop losses, they earned more than land-owning farmers when there are other job opportunities, HSBC India said in a report earlier this year. Common alternative sources of income are the government’s rural jobs scheme, which is often road-building work, and earning daily wages in cities, such as on construction sites. “After a good monsoon, there is increased demand for labour. As a result, real wages rise; this has largely benefited the landless class, given that a majority of their income comes from wages,” HSBC India’s chief economist Pranjul Bhandari said.